Peter Koenig has exhibited in Westminster and other cathedrals and museums in this country as well as in the Ostend. Peter’s parents left Austria just before the German take-over and he was born in London in 1939. He was educated at St Benedict’s School, Ealing Abbey, London, where he later taught for 25 years. He gained his Diploma in Arts and Design in High Wycombe and his teaching Diploma in Leeds. His paintings can be seen in various churches of Northampton diocese, as well as wall hangings designed by him and sewn by parishioners. 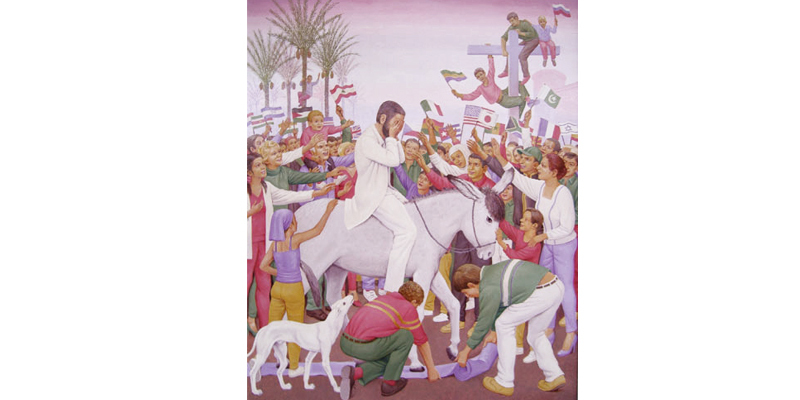 He is a life-long member of the Society of Catholic Artists in London and was president from 1973-1980. 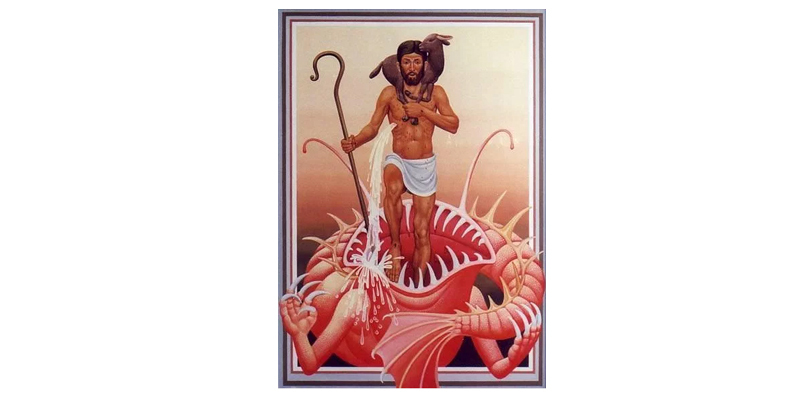 As a teenager, Peter Koenig decided to paint religious subjects and has found the Bible a continuing source of inspiration with its vivid imagery. He says: “One must first have a sense of the mysterious, the holy, before one sets out to be a religious artist.” In our throw-away society his paintings illuminate an enduring inner world in the tradition of the medieval monks and the old masters with Austrian Baroque to boot.